Thoughts on cooperation, collaboration and making consortia work. 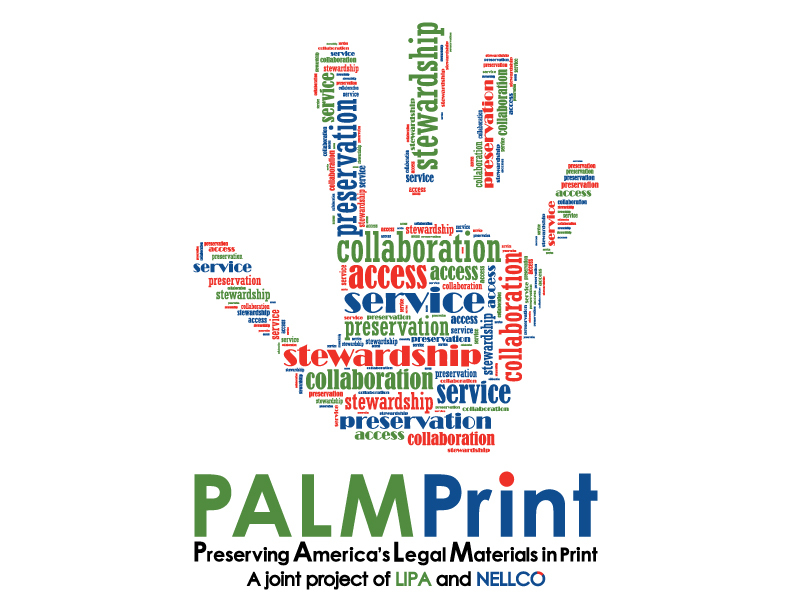 I'm thrilled to be working in collaboration with the Legal Information Preservation Alliance (LIPA) on PALMPrint, a project aimed at collective ownership and stewardship of state and federal legal materials in print. During this 3-year pilot our focus will be on retrospective materials, although we're exploring models for prospective collecting as well. We hope to develop a model that allows libraries to insure ongoing access to print materials held by the collective, while shifting local collection priorities and expenditures to digital resources. For more information on this exciting and ambitious collaboration please visit the NELLCO website. On the Friday before the AALL Annual Meeting in Boston last month, the NELLCO Board of Directors was invited to participate in an all-day workshop to learn about the process of parallel thinking. I had been introduced to the concept by Laura Freebairn-Smith of Organizational Design and Development, a consultant whom we have engaged several times in the past. This past spring, the NELLCO Board needed to reach a complex decision and I turned to Laura for advice on how best to facilitate that decision-making process with a 25-member Board. Laura suggested using the Six Thinking Hats, developed by Edward De Bono, as a tool for this work. Since I had never heard of the Six Hats, or Edward De Bono, immediately after my call with Laura I did what any good librarian does; I bought the book. It's a quick read and more than worth the price of admission. The Six Thinking Hats may be the most brilliant, simple concept for group work that I've ever encountered. If well implemented, I think it has the potential to radically alter the way we work in groups, the efficiency of meetings, and the productivity of staff/teams/groups. In a nutshell, the process is based upon the idea of six different colored hats, each of which has a particular role in focusing thinking in a particular direction. The WHITE hat is facts and figures. The RED hat is emotions. The BLACK hat is logical negatives. The YELLOW hat is logical positives. The GREEN hat is creativity. The BLUE hat is process control. So, now I'm a convert. I think everyone should know about the Six Hats. And those who attended the workshop in Boston seemed to feel the same way. Not only could they see how it could work for us as a Board, but they could also see its value back in their own workplaces. That led to a decision that we will be offering Six Thinking Hats training for library staff as part of the NELLCO Symposium 2013, which will be held on March 14-15, 2013. Stay tuned for more on that! The Harvard Libraries Reorg: What's the Takeaway? Today there is a lot of damage control being orchestrated by the administration and the transition team. (See The Chronicle, The Harvard Crimson, and see the meeting script here. The script was just posted today, labeled as a transcript, but it does not reflect the Q&A that followed the official script.) Obviously Harvard has a vested interest in putting the best possible face on the situation. I imagine the truth lies somewhere between these two extremes. While I can only imagine the impact that this sort of thing has on the morale of an institution, and on the lives of those who will be directly affected by the coming changes, I can't say I'm entirely surprised by this move. I am surprised and disappointed at the way it's being handled, but that's another issue. The reorg itself, in a massive library system that is probably rife with inefficiencies just given the nature of a system with so many independent libraries, can hardly be unexpected in an economy turned south. And this has been a process, begun in 2009, that while clearly suffering from a poor communication strategy, was hardly a secret. Whatever the outcome of the particular situation at Harvard, what does this mean for libraries? One tweet deemed it a death knell for the academic library. I understand these emotional responses. Librarians are passionate about the profession. But you can't have turned a corner in the last year or two without bumping into a webinar, a blog post, a conference program or an article about "The Future of the Library." Yesterday, that future smacked us in the face. It's a future defined by a few truths. Truth #1 - Library budgets are being hit. Truth #2 - Libraries are acquiring more digital content and less print content. Truth #3 - The resources needed for the care and feeding of digital materials are different from those needed for print materials. In addition to these truths, what are some of the the buzz words and themes in our industry today? Innovation, collaboration, change management, strategic planning, library 3.0. The writing is on the wall! And yet the whole time we're mouthing the words "library of the future" we're putting our heads in the sand and digging in with both feet, paralyzed by the past. Harvard's radical reorganization is not akin to the day the music died, but it is a harbinger of things to come for many libraries of all stripes. Shift happens. So what I'm asking myself today is, "How do we get out front of this? What can we do as a profession to be change leaders, rather than its victims? How can we minimize the fallout?" Do you have any ideas? I'll start with full disclosure. I am a fan of both AALL and the Annual Meeting. I have a long history of participation and leadership. I don't think I've missed an Annual Meeting since I entered the profession in 1997 (Baltimore). I've studied for the bar while attending Annual Meeting (Baltimore), nursed a baby while attending Annual Meeting (Anaheim), and I even attended Annual Meeting when I was 8 months pregnant (DC) and had to take the train because the airlines wouldn't let me fly! I find the Association to be a wonderful source for professional engagement and the Annual Meeting to be a time for re-energizing and re-connecting. But as an engaged member it's also my responsibility to speak up when I think something isn't working. And after having had time to reflect, and to speak with some of my colleagues, I think the Annual Meeting isn't working. It's just frantic! It reminds me of that game show booth where they blow air in and cash swirls all around you and you have to grab what you can. Everything swirling around you is great, but you only get to keep what you can hold in your two hands. And even though there is a million dollars in the booth, the producers know you can't get out of that booth with more than a very small percentage of that cash, even if you have a great strategy. So in the end, you'll walk away with something valuable, but you'll lament what you left behind. In Philly, I got a lot of good work done, but there was a lot left on the table. It seems like we're moving in the wrong direction; trying to accomplish MORE in LESS time. I need that extra day back that we lopped off the AM a few years back! And I really would like to see at least one group event reinstated (luncheon, closing banquet). I think we miss out on a sense of cohesiveness and community without one such event. This year, with the exhibit opening switched and some of the association activities (awards, closing ceremont, etc.) moved into the exhibit hall, the lack of an association event was even more apparent. These events, which are typically better attended than the annual business meeting or plenaries, might give our keynote speakers a better audience and allow awards and recognitions to colleagues and sponsors to be given the attention they deserve. And finally, I still believe we should rethink programming. In this respect, less is more. Maybe we should think about tracks? Or some other scheduling innovation? What are your thoughts? Get Collaborationista on your mobile device! Not into twitter? You can still keep up with the news, hot topics and current events by subscribing to the NELLCO Weekly Twitter Roundup! A new voice and a wide scope of thought. 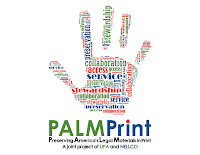 . .
NELLCO, an international consortium of law libraries, advances justice through access to global legal information. Together NELLCO libraries collaborate to maximize resources and to support the missions of their institutions. NELLCO members share the risks and rewards of implementing innovative ideas, and capitalize on enduring successes. Quotes I like . . .
"Association executives who are adopting Social CRM practices should focus 80% of their efforts on changing work habits, and 20% of their efforts on changing technology and tools." Maddie Grant and Lindy Dreyer at Social Fish, from their whitepaper on Social CRM for Associations. "What paralyzes an organization is when management compromises value by failing to tap ideas, expertise, and assets. What also paralyzes an organization is when requests for decisions languish in in-boxes rather than hashing out issues spontaneously. Paying a few people to think and paying everybody else to carry out orders creates far less value than breaking down barriers among silos and enabling people to engage each other spontaneously." Evan Rosen on his blog, The Culture of Collaboration. Content is under a Creative Commons Attribute Share Alike license. Simple theme. Powered by Blogger.